Based out of Surrey, BC, the Six Technologies team are experts in supplying and installing HD security camera systems in Greater Vancouver and throughout British Columbia. With hundreds of clients and our recent expansion into Victoria, we are one of the fastest growing security companies in BC. Need a new security camera system or want to upgrade your existing cameras? We've got you covered. There are many things to consider when choosing security cameras to protect your home or business. With hundreds of brands and types of security cameras out there with different resolutions choosing the right system can be overwhelming. Let the experts at Six Technologies help you choose the right cameras to fit your needs and budget. When you contact our office for a free security assessment, we will send out a professional to assess your property and discuss your security needs with you. We will then prepare free professional security assessment and estimate based on our site visit and review your options with you. While there are many makes and models of security cameras out there Six Technologies only uses products from trusted manufacturers who produce high quality systems at affordable prices. Our cameras are durable, boasting not only water and dust protection but they are vandal resistant as well. Depending upon your specific needs Six Technologies can offer the latest in both TVI and IP camera systems. ​This is unedited video from outside our Head Office In Cloverdale BC. The recording is actually higher resolution than the sample . We welcome our customers to come in to our retail store and showroom to view our cameras live. All of our camera models feature a minimum of 1080p resolution (2MP). 1080p resolution means a resolution of 1920x 1080. The older technology 720p HD cameras still installed by other companies are at 1280 x 720 or 1MP. At 2MP, you are getting twice the image detail as you are with 1MP for a very similar cost. 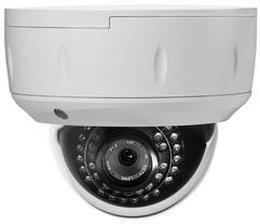 Our AVTECH PTZ Cameras feature 20 x optical zoom and 200 metre night vision range. ​These cameras provide the perfect coverage for large rural properties, parking lots, and storage yards. Hi Definition Transport Video Interface camera systems are similar to old analog CCTV except they transmit and record video at 1080p which is a much higher quality than analog systems can achieve. This makes TVI the perfect solution if you are looking to upgrade an existing analog system or if you are looking to put in a new reasonably priced high definition security system. Internet Protocol cameras and DVR's are at the forefront of modern technology. They have capabilities that far surpass old analog systems and they can achieve resolutions that even the best TVI systems cannot reach. The cameras can be hardwired in place or they can be set up for wireless transmission of their audio and video signal. IP systems are the future or modern video surveillance. All of our security camera systems can be viewed live in HD from anywhere in the world. Keep track of whats going on at your home or business from any Android or Apple smartphone, tablet, or computer. Need to review footage when your are away? Our systems have you covered with features like remote playback and event searches so you can quickly find the footage you need from your phone, tablet, or computer. Our HD recorders have you covered day and night. Recording in crisp, clear video, you will capture evidence when you need it the most. We carry IP Recorders, TVI REcorders, ANd Hybrid Recorders where you can mix different technologies (IP, TVI, and Analog).